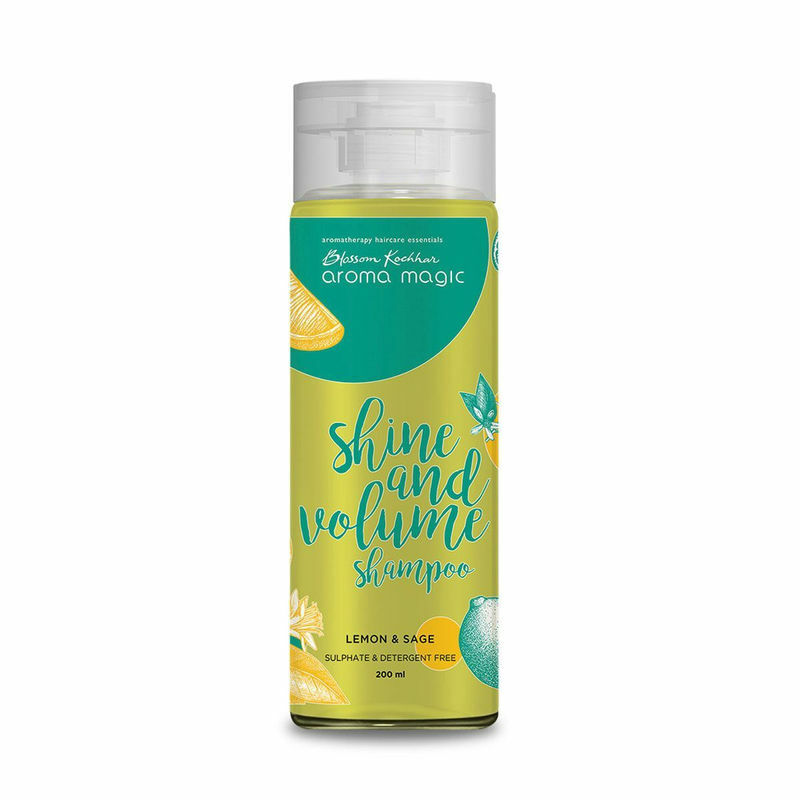 The Aroma Magic Shine Volume Shampoo is enriched with the antifungal and antibacterial properties of lemon and geranium oil. It also contains sage, which regulates oil production on the scalp and acts as a gentle toner. Tocopherol in the formulation hydrates hair fibres while restoring natural moisture levels of the scalp. Rich in vitamins A, C, D and nettle extracts which contain proteins and amino acids, this shampoo can make your hair shinier. The horsetail extracts help strengthen the hair follicles while lemongrass extract improves the sheen and texture, giving you happy hair everyday.